With only six races left of the 2015 season Lewis Hamilton looks like he is about to win the third drivers' championship of his career. Given how dominant Hamilton has been this season it looks a tough ask for anybody to catch him. Looking at current form it looks like only two men are capable of sneaking up and taking what will surely be Hamilton's crown. Whilst Hamilton flies high, Sebastian Vettel and Nico Rosberg are close behind waiting to pounce. But what chance do they have of finishing above Hamilton? 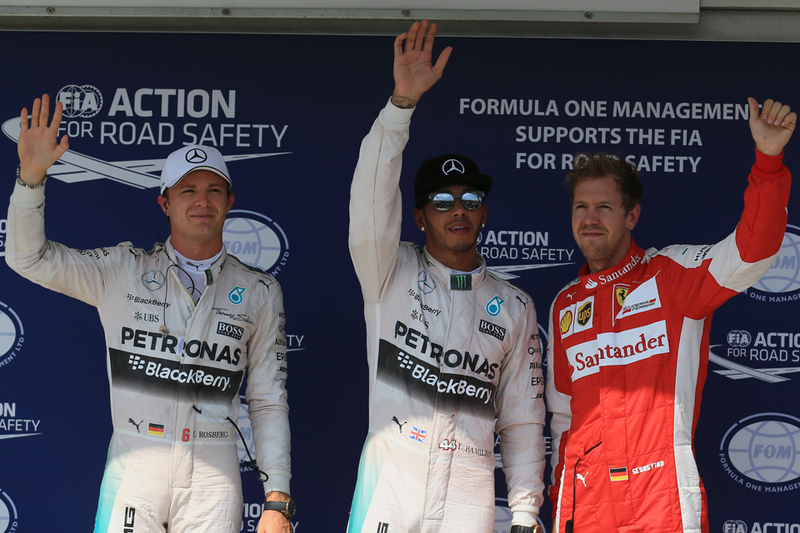 Can Rosberg or Vettel deprive Hamilton of title honours? Currently Nico Rosberg sits second in the drivers' standings on 211 points, 41 behind leader Hamilton. Given that Rosberg finished the 2014 second behind Hamilton, he will be desperate not to do so again. Apart from a collision in the Hungarian Grand Prix (resulting in an eighth place finish) Rosberg has been in fine form and must surely be thinking with a little fortune he could pip Hamilton to the post this year. Bookmakers have him at very generous 11/1 to win the drivers' championship, and 7/2 to win the Japanese Grand Prix. The other man looking to stop Hamilton in Sebastian Vettel. A man who has been there before winning in 2010, 2011, 2012 and 2013, he will certainly be in contention come the final stages this year. After three wins and nine podium finishes it would take a fool to write Vettel off just yet. No matter how strong Hamilton is, Vettel will look an attractive prospect in Japan at 3/1, whilst he is 8/1 to take the title. If you can't wait for the climax to the 2015 season the there is an alternative way to experience some racing associated fun in the form of slot game Speed Machine from MobileCasinoAustralia.com.au. Speed Machine is a motor racing themed five-reel, twenty pay line slot with a jackpot of over $50,000. Of course the chance of winning this is probably the same as Jenson Button catching Hamilton but still there is plenty of fun to be had. Besides the jackpot the game offers racing graphics coupled with authentic sound effects. Inside Line F1 Podcast - Strange Start To F1 2019 - Agree or Disagree? Tyre wars - such a good idea? Get Talking about F1 posts delivered direct to your inbox. Just enter your email address below. 1994 – The Untold Story of a Tragic and Controversial F1 Season is a new book which gives much more insight into this subject and so much more. Keep checking www.1994f1.com for more F1 blogs and the release date for the book.